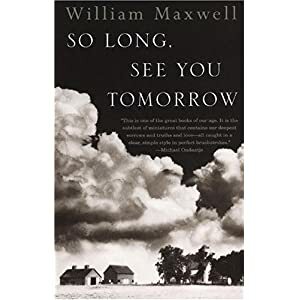 So Long, See You Tomorrow by William Maxwell was published in 1979 in two parts in the The New Yorker magazine. It is a short book as you'd think (less than 150 pages). A review describes it as "A small, perfect novel."